An exclusive lightweight zip up with the Back on Track iontex® technology These zip ups are made of a soft, lightweight and quick dry material that is perfect for training or lounging. 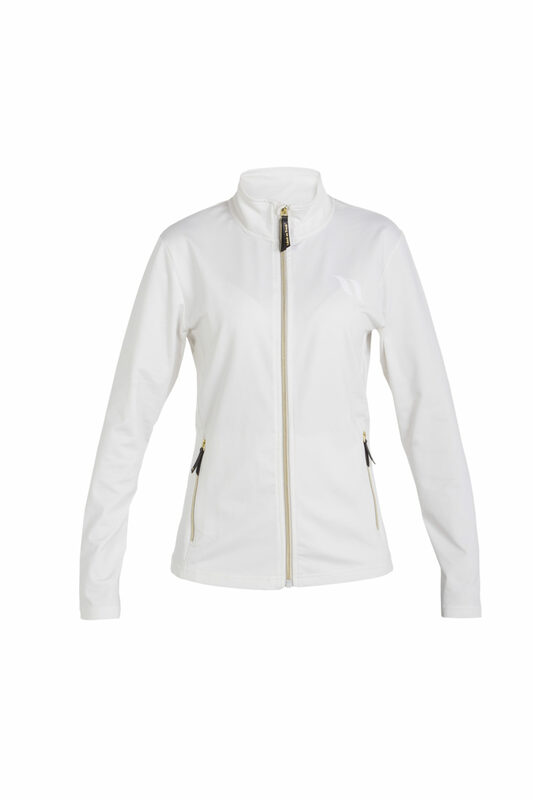 The Back on Track iontex® innovation textile is infused with minerals to create infrared energy and thermal regulation. 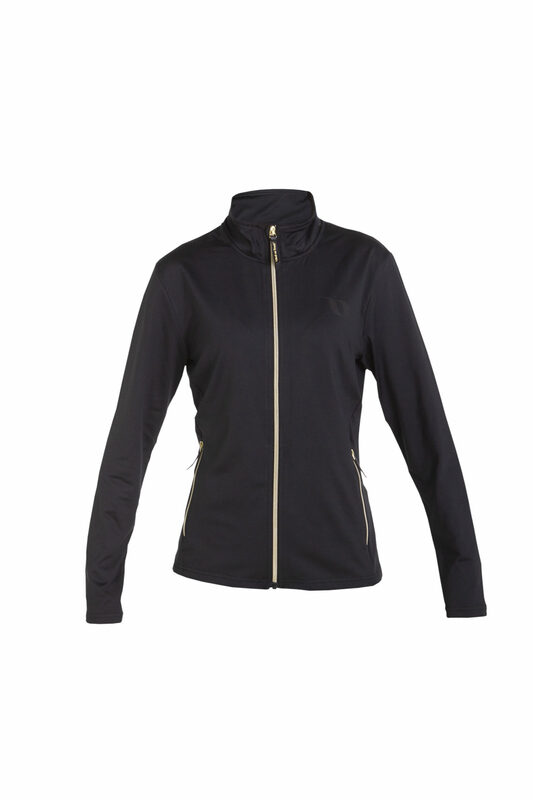 The Athena has a tailored fit with extraordinary details in gold tones for an elegant but sporty look. 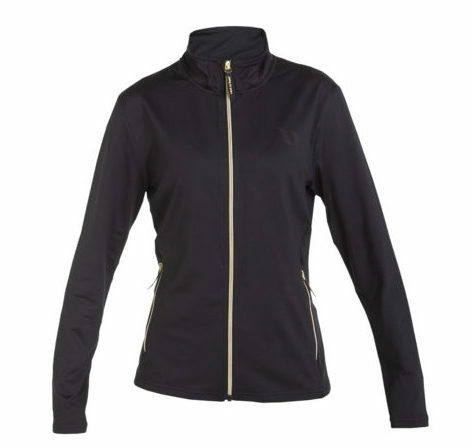 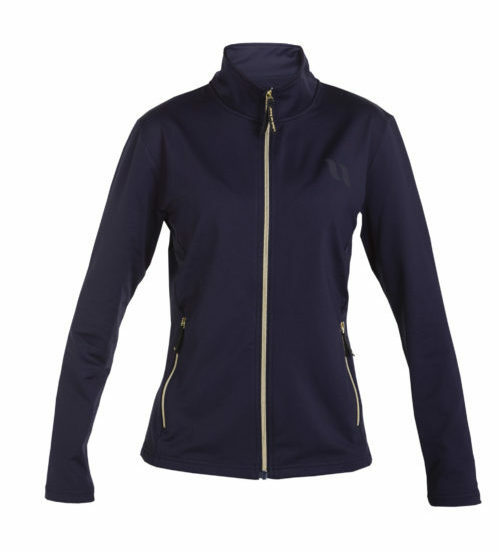 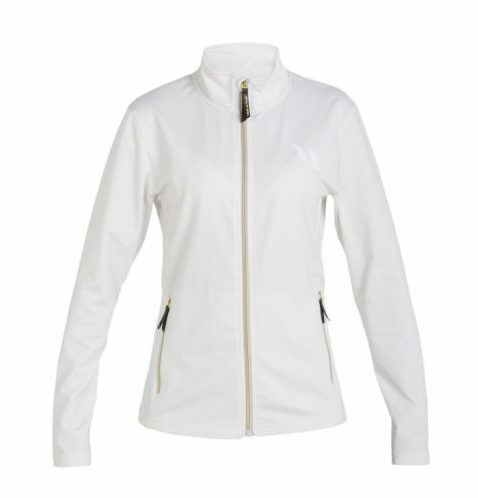 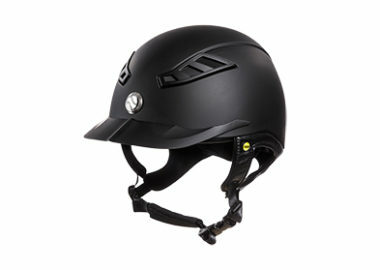 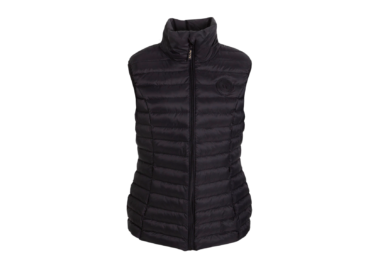 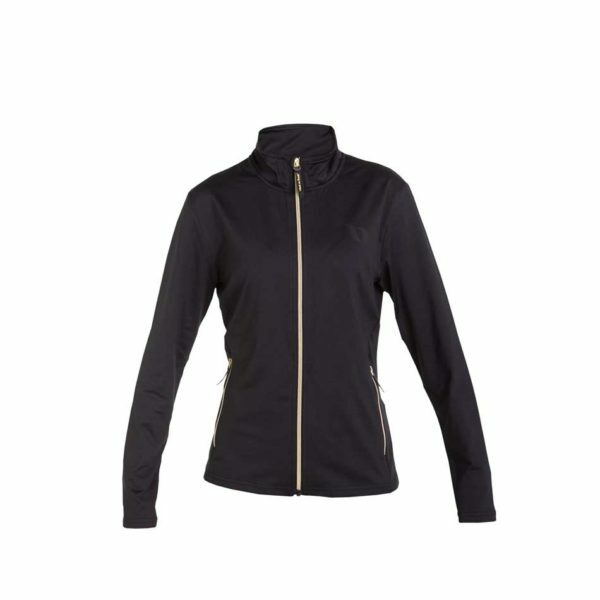 The anatomically shaped collar with zip guard is designed for extra comfort and to prevent chaffering. 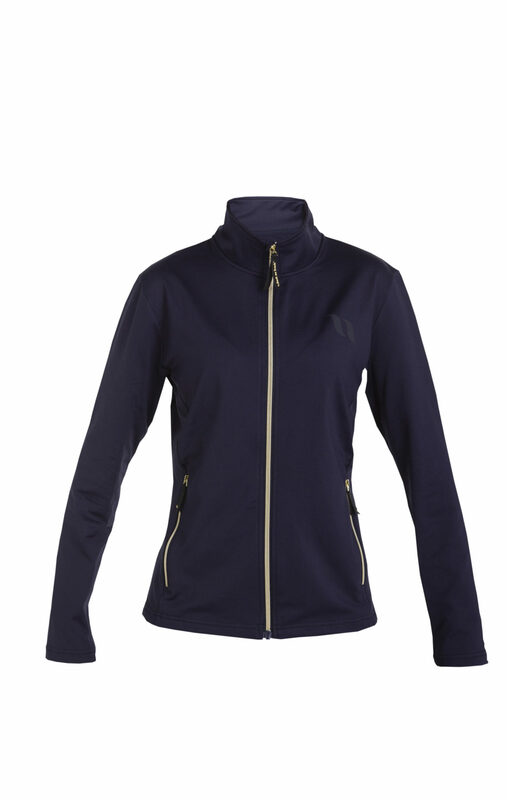 This look is completed with front zip pockets and our Back on Track logo. 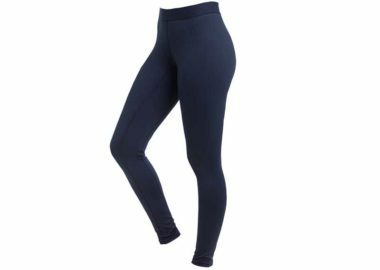 Available in sizes XS - XXXL. 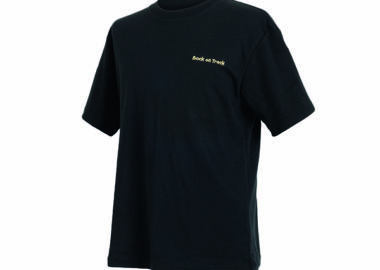 With Back on Track's state-of-the-art Welltex material, our T-Shirt may be helpful for sore muscles, joints, and tendons.